Twists, also widely referred to as two-strand twists, are a hairstyle created by twisting two sections of hair around one another to the ends. Sections of hair may range from large to small. While flat twists work well on different textures, twists generally work better on completely natural hair as the ends usually hold together without additional help from bands or barrettes. Twists can be combined with other styles, such as flat twists, braids and afros. Two-strand twists are a great protective style because once you create them, you can leave them in for days or weeks. You're able to cleanse and condition your hair while in twists if you want to wear them for a while. 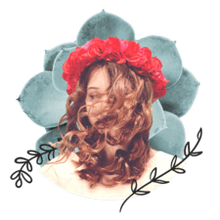 They are very low-maintenance and do a great job of protecting your hair's ends, provided you pay the ends some attention with moisturizing while you wear twists. This is an easy style to create and works well on hair of nearly all lengths. Once they're in, simply cover or wrap your hair at night to keep them neat. Twists also work well in combination with other natural styles. You can flat twist the front of your hair to the crown and leave remaining lengths in two-strand twists. You might also get creative by fashioning the same set of twists into an updo, one big braid or ponytail or simple bun. There are a variety of styling possibilities you can attempt beginning with this one hairdo. 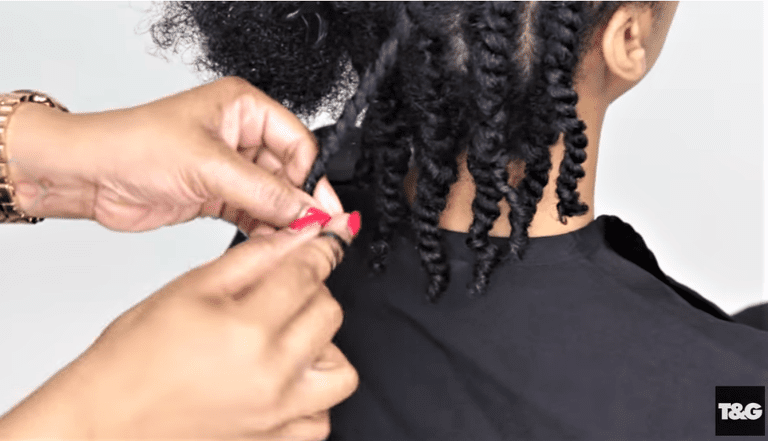 Plus, when you're tired of leaving your hair twisted, unravel them and you have another hairstyle: the twist-out. What Products Should I Use for Twisting? Until you find tried-and-true favorites, you may have to experiment with different products to get the final look and hold you want in this style. A good degree of hold helps twists keep their shape without unraveling or frizzing up too soon, but steer clear of tacky, heavy gels. You have many options that are better for your hair. Although it's a simple hairstyle to create, not everyone gets it perfect the first (or fifth) time. You may need to practice more, paying special attention to the size of each section you're twisting; your results will be more uniform if you make sure each section is even. You may need to experiment with products to find the best ones for you. Also consider whether you get better results on wet, damp or dry hair -- your final outcome will differ depending on what you begin with. One of the most important things to remember when creating your twists is to begin with two sections that are even. If one section is thicker and/or longer than the other, you won't be able to create a uniform twist down the entire length of that section. You'll have to "borrow" from the other section, leading to an uneven twist. Do I Need to Add Extensions When Styling Twists? No, you don't need to add extension hair when creating twists, but some women want a longer lasting set of twists or twists that are lengthy, so they may add synthetic hair for a Senegalese or Marley twist hairstyle. You might choose extensions if you're transitioning and can't achieve a full, uniform twist look quite yet. You can also add in colored extension hair if you want to create a funky or different look than your usual one. Some women with fine hair may find extensions give them a fuller style. However, extensions aren't at all necessary.